Project Colt – HubNut – celebrating the average! 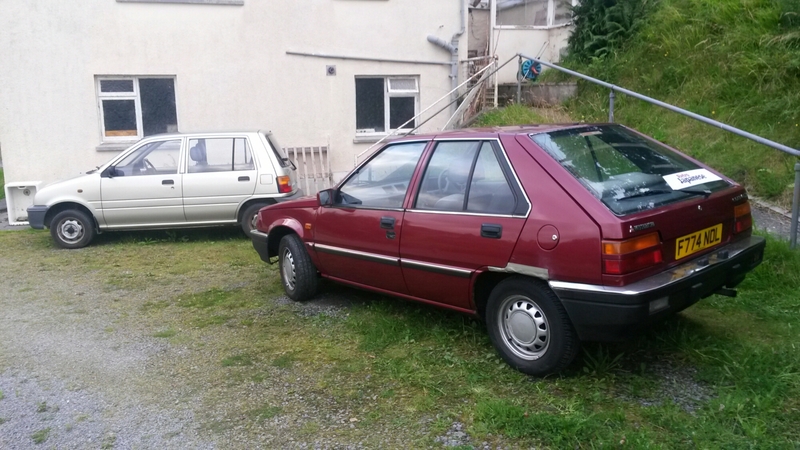 After not even a fortnight of ownership, I have come to the conclusion that I really don’t like my 1987 Mitsubishi Colt. Sorry Colt, but you’re not for me. Easier to get in than the sports cars in the background though! Poor F774 NDL shouldn’t be considered a dreadful car though. That would discredit it when it has been quite remarkably loyal in the 500+ miles I’ve covered since purchase. It has done everything I have asked of it. As a conveyance, it is brilliant. But, it is not just ordinary to drive, it’s actually unpleasant at times. It has steering which inspires as much confidence as a speech by Donald Trump. The engine sounds about as exciting as underwater snooker. It has all the body control of a walrus in a wheelbarrow. It is to car handling dynamics what baked beans are to the world of fine cuisine. Do I regard this as a disaster then? No, I do not. I greatly enjoyed buying a sub-£300 car and trusting it with my 500-mile crazy roadtrip weekend. I also appreciate the chance to reset my baseline when it comes to trying other vehicles. It doesn’t pay to stay too blinkered in one particular area. I’m appreciating Citroen BXs and XMs all the more right now, for their remarkable blend of comfort and handling. 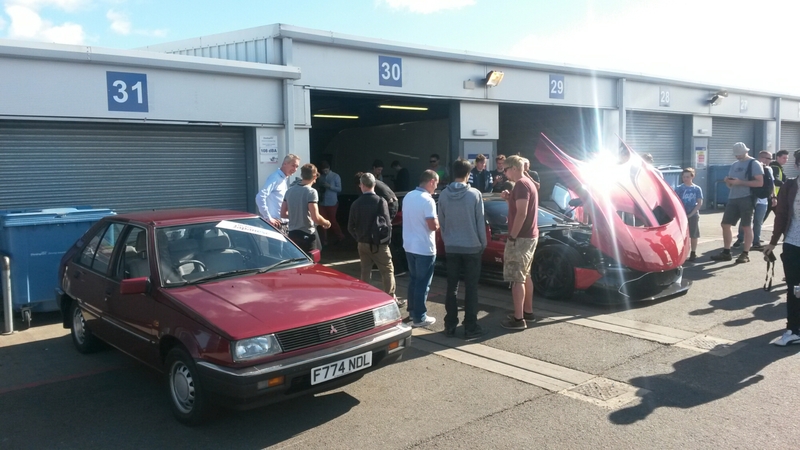 It’s an opportunity to forget the flaky electronics and problematic brake calipers! Hmmmm, rose tinted glasses. It’s proof that I love variety. During the short time I’ve owned this vehicle, I’ve been able to drive it back-to-back with a Jaguar XK140, a Nissan 300ZX Z31 and a Toyota Supra Mk3. The Colt is much easier to climb in and out of than all of them, and has a more comfortable ride. See? It does have good points! But, it has also served to remind me what I really want in a car. Handling prowess is important. I like to drive a car that feels like it wants to corner well. But not at the cost of comfort. I don’t like being jolted, so an actual sports car probably isn’t what I want. That’s why the Prelude had to go (fantastic handling, but it was rather firm of suspension). To be fair to the Colt, I fell out of love with the Austin Maestro for very similar reasons. Oddly, I found the van version more entertaining to drive. It’s also why the Nissan Bluebird didn’t tick the magic box for me. Even a Volkswagen Golf Mk2 proved a disappointment – more for ride than handling. Dynamics are important to me. I think it’s why I like French cars so much. They really understand suspension. Another car that didn’t tick sufficient boxes. So, the search is on for the next vehicle. I’ve done a lot of head scratching already, but I think what I’d really like to own is something actually nice! I will be attempting to do that after a little holiday in France. I was hoping to buy something pleasant in which to travel, but I bought the Colt instead. So, it looks like the RAV4 will be getting that gig after all. Who knows what I’ll end up with after all this! 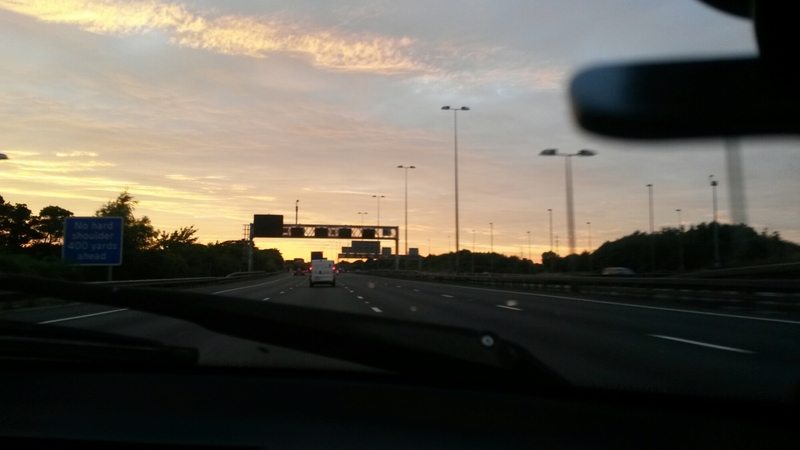 After a second enjoyable day at the Fast Car Festival, it was finally time to head home. The Colt chirped briskly into life, perhaps keen to get away from all the powerful cars with which it had been rubbing shoulders. Roadworks made getting to my first destination in Birmingham a right royal faff, matching the experience of coaxing another 30 litres of fuel into the car. Did that fill the tank after the 20 I’d put in the day before? I’ve no idea. It did make the car stink of petrol again. Sorting this out therefore has to be a priority. Something is quite wrong. I was in Birmingham to collect my friend Julian, so he could reclaim the loaned Puma from my driveway. This also meant I could enjoy a passenger ride in my new steed while Julian sampled the mighty Mitsu for himself. 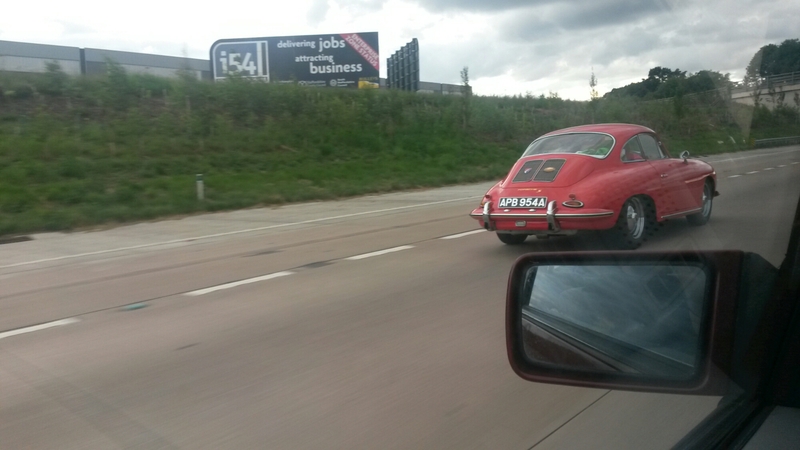 I got to take photos of a nice Porsche 356 on the M54. I regained the wheel from Shrewsbury, and between us, we coaxed the Colt home in pretty good time. My new steed had proved absolutely superb for the trip, though the seats aren’t great. 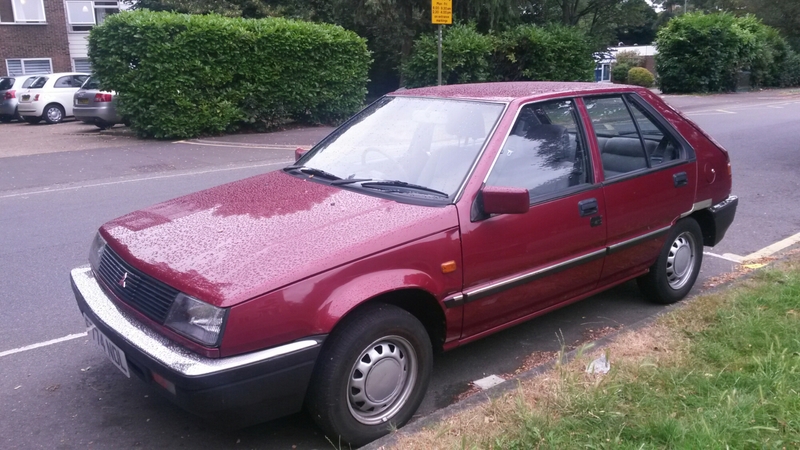 My back is a little sore, but then I have already covered over 500 miles in this little, cheap old banger. Not bad for four days of ownership! Sure, this is not a great car, but it is very worthy. I have no idea why I bought it really, but I have enjoyed this trip very much. However, I suspect this car will not be hanging around all that long. Mission accomplished? 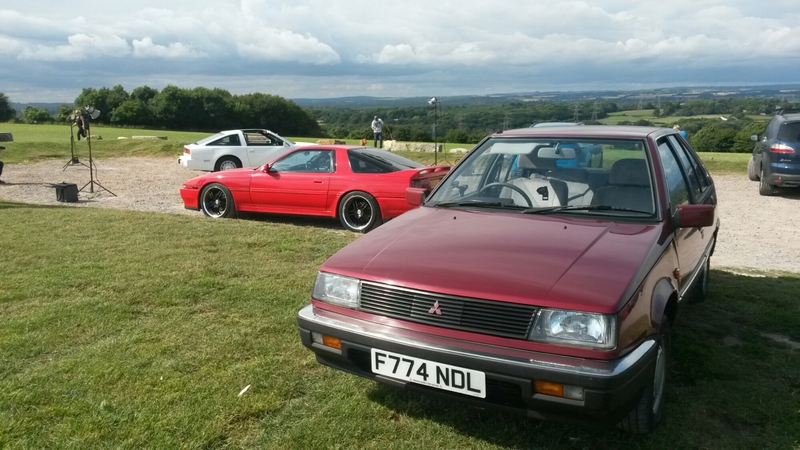 Having collected my new 1987 Mitsubishi Colt, I then drove down to Sussex, to spend a very pleasant night with family. That first drive was quite frustrating at first, and it was over an hour before I could achieve more than 40mph. I had achieve lot of miles to cover in this car. What would it be like at speed? First of all, I had to find fuel. The gauge doesn’t work, so I only had a vague idea about how much fuel was on board. Probably not much. I was a bit surprised therefore when the pump clicked off straight away. I changed therefore the pump angle again. Same issue. Eventually, I managed to get fuel in, but only by aiming the nozzle at the filler and keeping the flow rate low. I reckon I got about 20 litres in. I suspect the filler neck breather is not working. Given the lack of sender about general whiff of fuel, I fear there is work to do here. Anyway, I reached the M23 eventually, and could finally do 70mph! It is surprisingly peaceful at speed, which is impressive given that the engine is doing 4000rpm. It tracks straight and true though, and the ride is pretty comfortable. It certainly isn’t a quick car though. First gear can be quite perky, but is very much ambles up to speed after that. It’s quite relaxing really, and is fine. This isn’t a car to hoon in. The assisted steering is low on feel, and body control is pretty poor. It’s so easy to drive though. It isn’t even slightly challenging. That’s good, because having now driven to Portsmouth for the second photo shoot of the day, I now had to hot foot it up to Donington for the Fast Car Festival. That alone was any trip of over 160 miles. And the car coped fine. Hour after hour, it just kept going and refused to complain. Unlike the driver. 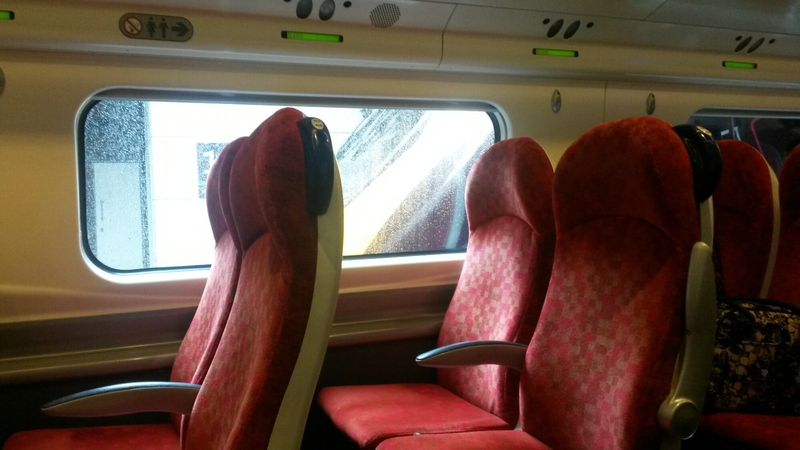 I was feeling tired by Birmingham, and the lack of seat support was causing issues. Overall though, I’m very happy. Cheap and very capable motoring. I’m now at the Fast Car Festival, where the Colt has been rubbing shoulders with a car worth about two million pounds more! And it doesn’t even have a rear wiper. Colt wins. In all my excitement earlier, I utterly failed to mention my experiences in that there London. Really, it was just me struggling with technology. I downloaded an app, as recommended by a friend. It is called Citymapper and promises to be everything you need when encountering public transport in a place where there is more than one bus a week. I managed to find my way to the bus station and waited for an appropriate bus. 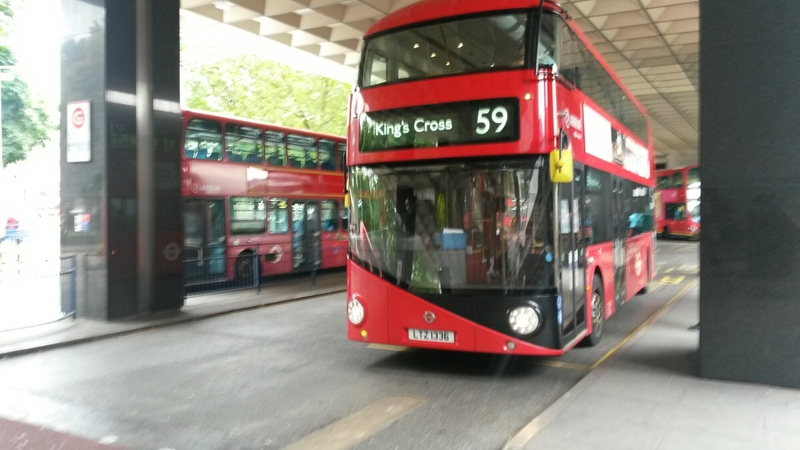 The above is not an appropriate bus, but it was the first of these new Routemasters that I’ve seen. It is a very striking design. Eventually, as bus arrived with the appropriate number on it. I jumped aboard, waved my wallet at the contactless point and tried not to look like a clueless tourist. I may have failed in this. 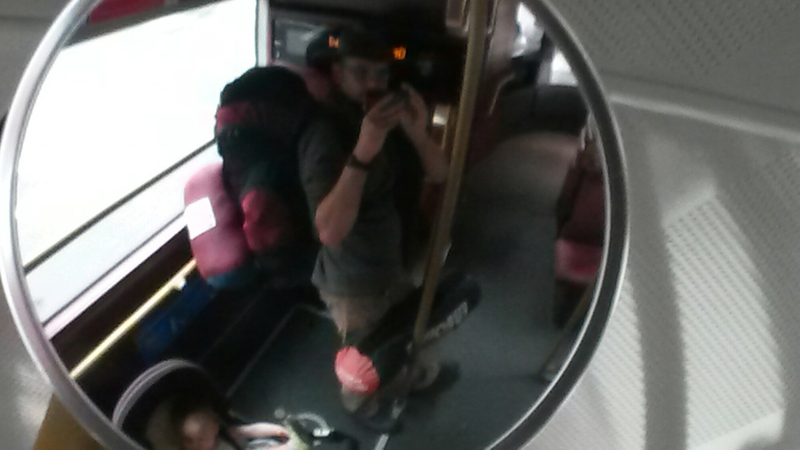 Locals were notably not carrying tents and sleeping bags. I leapt off, via the rear door nowhere near a bus stop, and encouraged the app to try again. Second time lucky. It must be said, these new buses are smooth, quiet and very easy to get on and off. I like them. After tea with a friend, I caught one more bus to Victoria, used my magic wallet to access the next train, found it waiting and ready to go and caught a rarity. 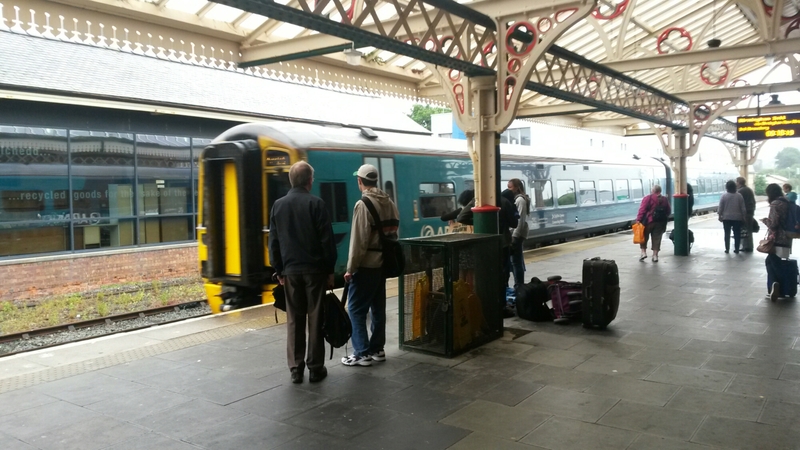 A Southern rail service that was on time! And that brings us up to date. Stay tuned for tomorrow’s mileage-fest. Southampton and Notts here I come! I have made it! 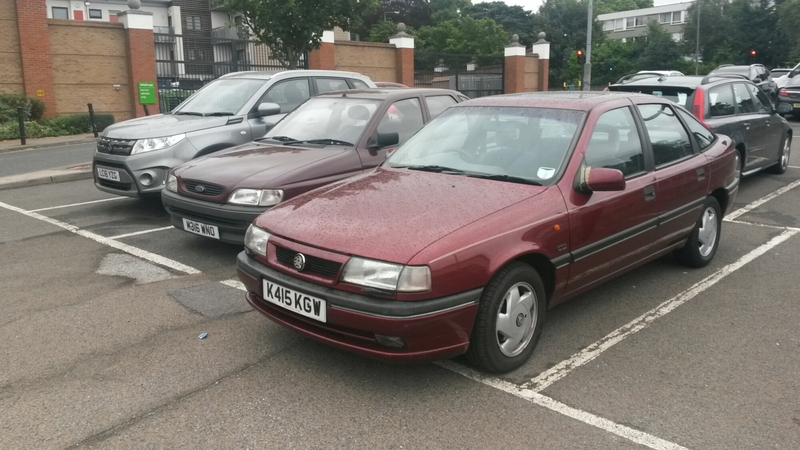 Clearly, Beckenham is the place if is a shabby, maroon hatchback you want. The Cavalier was the taxi. This collected me from the station, and then I soon arrived at my new steed! Isn’t she lovely? I’ve known the car for years, but now she’s mine. Under the bonnet, there’s a 1468cc powerhouse and an automatic gearbox. There’s power steering too, as well as electric windows and mirrors and central locking. A luxurious little thing! 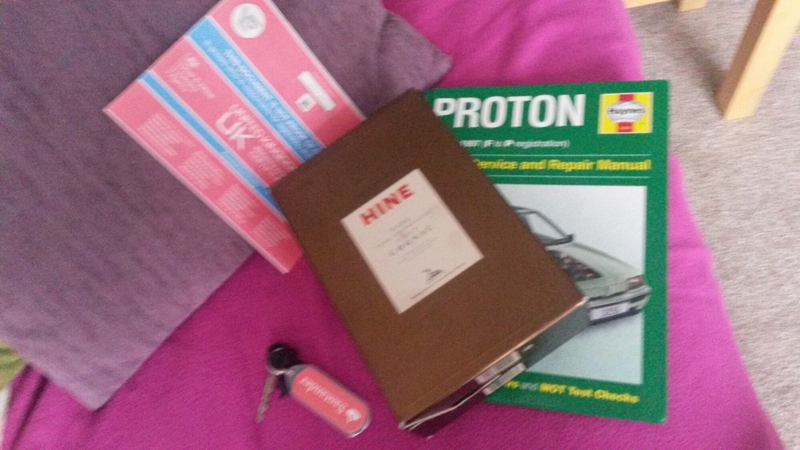 Above is the history in a Cognac box, and a Proton manual as that’s what this Mitsubishi would become. So, it begins. I’m sitting on a train which is far too warm, as is always the case with Arriva Trains Wales. Oh for the good old days, when it was actually possible to open a window! I’ve got three joyous* hours aboard this rattling mobile sauna, which serves as a fine reminder of all that is wrong with public transport.